The performance focuses on the emotions connected to the events happened in Egypt after the 25th of January. The feelings of hope and fear are the main subjects of this multimedia work that brings together the experiences of both Egyptians and European artists, who lived in Egypt during the days that preceded the falling of the Moubarak regime. Out of the political and historical debate, this performance let the audience go back to the first and primal feelings of the events that made millions of people breath the fresh air of hope, that made people reborn. 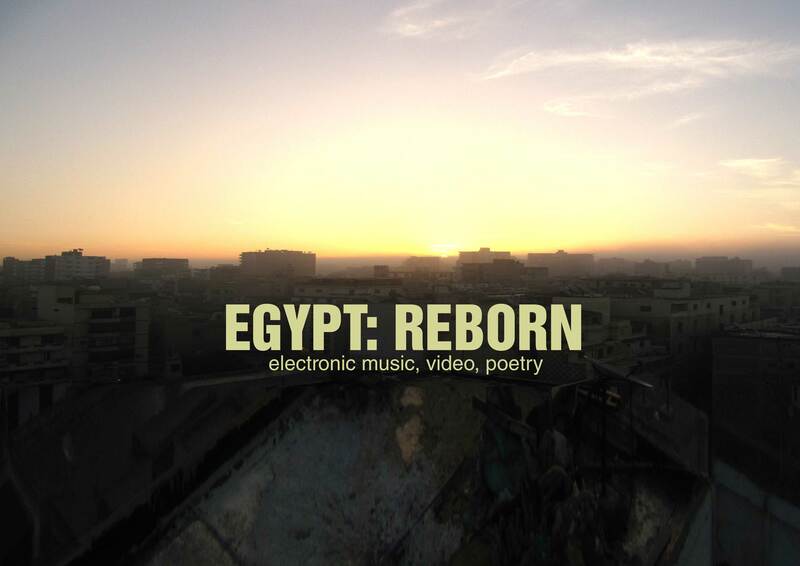 Egypt: Reborn is a multimedia performance consisting on music, video and poetry. The music has been composed by Claudio Curciotti, an Italian artist who use to live in Egypt since 2010. His music is a music of hope, full of melodies and harmonic openness, composed to express the feeling he had sharing time with Egyptian people, after the Revolution. The video has been shot in Alexandria during the demonstrations by the film maker and theatre director Mohamed Absoud. He was in the front line with his camera during the demonstrations, confirming his long-time activism in politic and art along Egypt. The same days the Italian author Eleonora Trani, who faced during the Revolution a difficult but meaningful time, wrote a poem called Alessandria, Buio, Luce. The poem will be recited during the performance, with a multi language interpretation (Italian and Arabic). The multimedia performance consist in a 50 minutes show where music and video are in a constant dialogue through a synchronize live set. Sounds and images create the feelings and the emotion connected to the revolution, whereas the poem is a moment of reflection, leading the audience into the personal world of a girl who lived the difficult days of violence in Al Attarine, the central area in Alexandria. The performance tries to inspire people on using their experience of the revolution (images, words, sounds) in order to create art. Our idea is connecting Europe and Egypt through art, bringing artists coming from both places, letting them sharing the stage as well as their experiences and their feelings.